Don’t be terrified with the idea of a car lockout in North York ON. Be ready. Store the phone number of our company and use it when you find yourself stuck outside your car. All it takes is a call and our staff will quickly send a pro over to handle the issue. Locked out due to car key problems? Is there a problem with the lock? Need someone to unlock the trunk and retrieve your key? 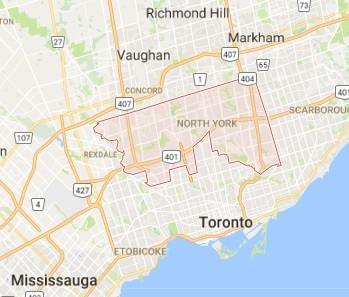 North York Locksmith is here for you. Call us 24/7 and let us assist you. 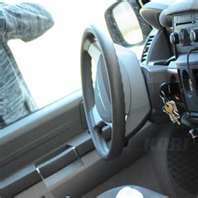 Depend on our company for 24 hour car lockout service in North York, Ontario. Who likes delays when they are locked out? Let us assure you that our company never makes compromises when it comes to picking locksmiths. We choose the best and the most committed pros to ensure you receive assistance fast and in an effective manner. In order for the locksmith to open locked car doors, he must have the right tools. The pros sent by our company are extensively equipped. They carry anything might be possibly needed to fix up a car key or lock problem. From key blanks and cutting machines to special equipment for the programming of transponder keys, they have everything needed to offer services. So, if you need car opening service to retrieve the key forgotten inside the vehicle, trust that the locksmith will unlock the door with the right tools. Experienced with all car makes, years, and brands, the pros know how to open car trunks and doors without damaging the lock. All the same, they can repair lock problems and definitely replace the missing car key. If the key was lost or stolen and this has caused the car lockout, worry not. The pro will make a new car key in just minutes. If this is not a standard ignition key but a transponder, rest assured that it will still be cut and programmed with accuracy. Turn to us when you need a reliable auto locksmith to provide North York car lockout service 24/7. We will help before you know it.